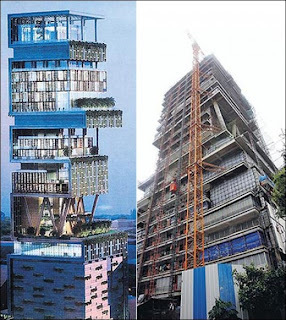 Nita Ambanis Most Expensive House in the World -Pics | GSV Films :: Film news, video songs, movies news telugu, tamil hot actress. 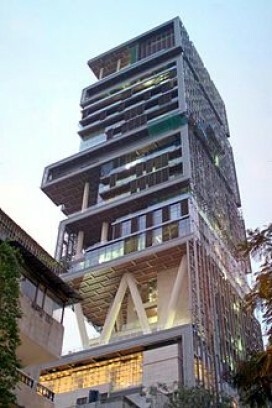 Your search for the most expensive house in the world ends here. I am going to introduce you with one of the biggest, tallest and luxurious house in the world. 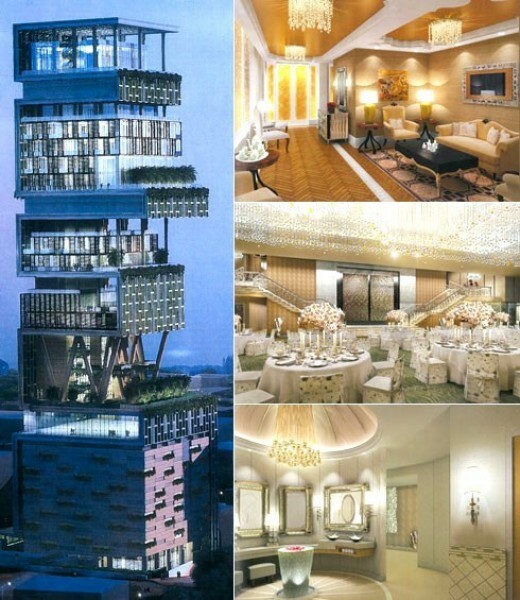 This is the most expensive residence ever built on the earth. 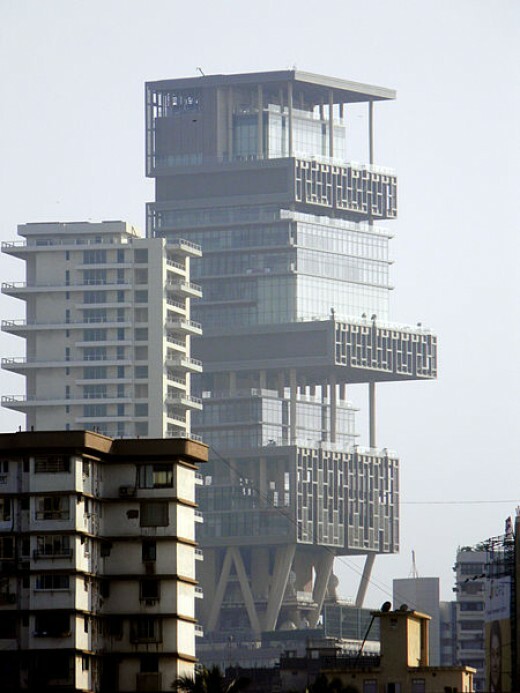 The name Antilia is taken from a mythical island of atlantic, Antillia. 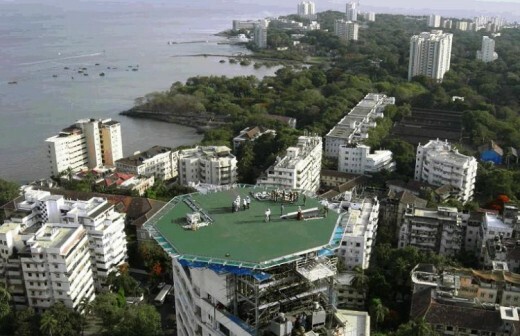 It is situated in Mumbai on Altamont road and this street is considered as the 10th most expensive in the world where the price of land is above $25000 per square meter. It took almost 4 years to complete the construction of this expensive house as it started in the year 2007 and ended in 2010. 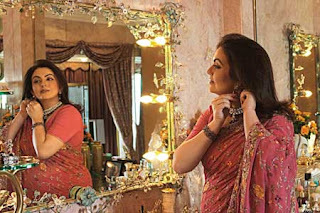 Opening ceremony of the house was done on 28th October 2010. The height of the 27th floor house is 568 ft or 173 meters which is technically equivalent to the height of a 60 storey building. No two floors of this house are alike in design, material or the interior. 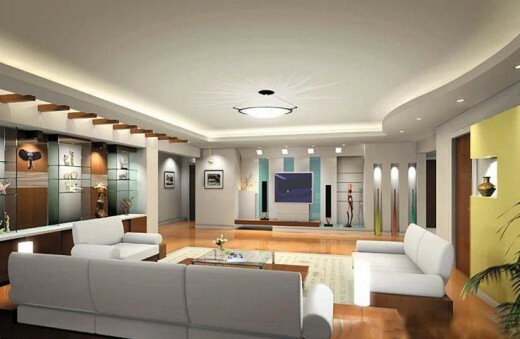 Total living area is about 400,000 sq ft ( 37000 sq mtr). 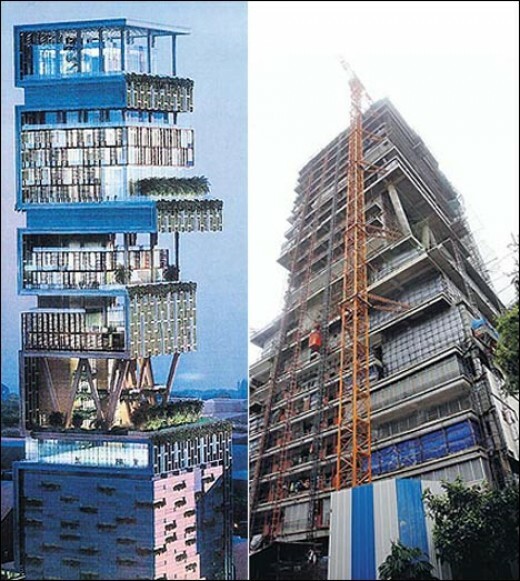 The structure of the most expensive house in the world is based on the principals of Vaastu Shastra which was designed by Perkins & Will (US architects). The main contract of the construction of this house was given Leighton Holdings, which is the largest project contracting and development group of Australia. The foundation and the construction of the house is so strong that the house can survive on earthquake of 8 ritcher scale. There are total 9 elevators in the building lobby. 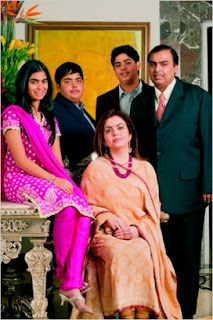 Ambani Brothers are creating wealth to India and also creating Jobs to the indians with their innovative thinking. 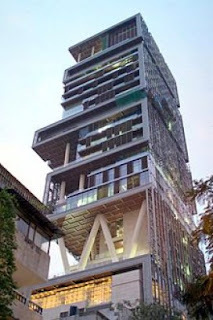 For More Detailed Photos of Ambanis Expensive House Photos click here.